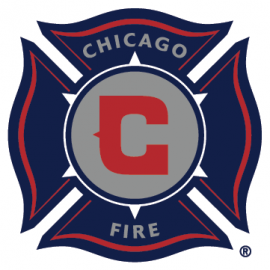 Chicago Fire - This is the official home of the Chicago Fire Soccer Club. Find out more at chicago-fire.com. The Chicago Fire Soccer Club are Major League Soccer's franchise in the Windy City. 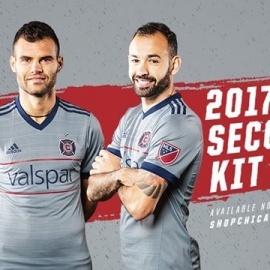 Playing just outside of Chicago at the club's soccer-specific stadium, Toyota Park in Bridgeview, IL, the Chicago Fire are one of MLS' top club's of all-time. Having won MLS Cup in their inaugural 1998 season, the club has been in the league championship match three times, qualified for the playoffs 12 out of 16 seasons and won the Lamar Hunt U.S. Open Cup four times -- more than any other MLS club. Chicago Fire Soccer Club is an American professional soccer club based in the Chicago suburb of Bridgeview, Illinois. The team competes in Major League Soccer (MLS) as a member of the league's Eastern Conference.